Been diving in TRACC House Reef? Please Vote! As someone in love with muck diving, the TRACC House Reef on Pom Pom Island is definitely my cup of tea. 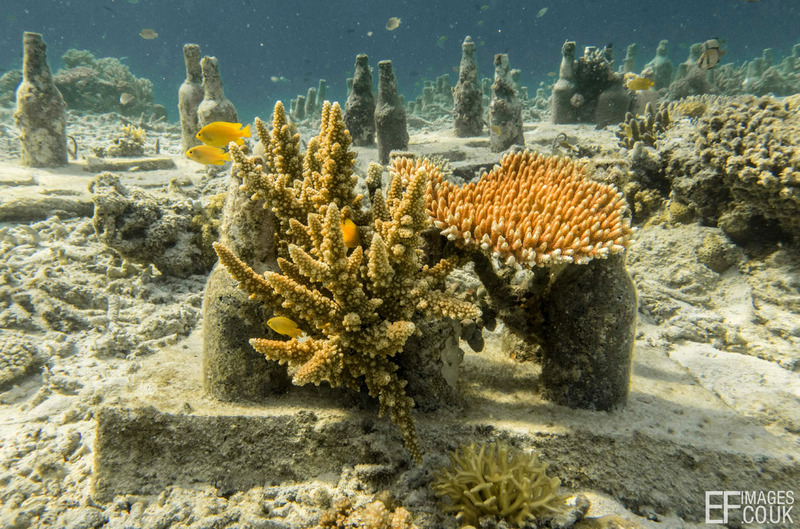 5 years ago the reef here was non-existent – dead coral rubble as far as the eye could see. Now I find a purple Painted Frogfish resting down at 30m, Nudis of all sorts including Solar Powered, Porcelain Crabs filter-feeding, Orangutan Crabs and so much more everywhere I turn. No Blue Rings or a Flamboyant Cuttlefish today, but they make an appearance every now and then. TRACC (Tropical Research and Conservation Centre) has brought this stretch of dead reef back to life from nothing, with a whole range of reef restoration techniques inspired by science and implemented by volunteers who come from all over the world, to help conserve the ecosystem, get dive qualifications, or carry out marine research. 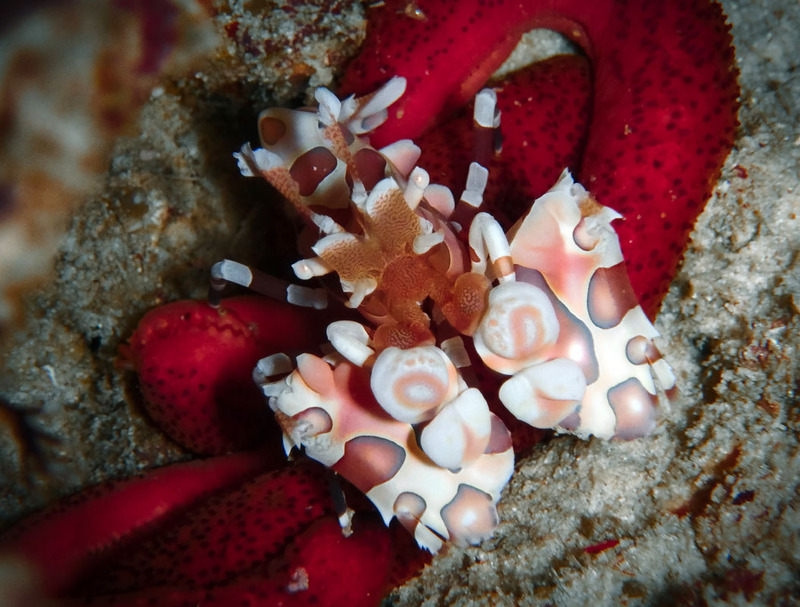 It’s such a good feeling to see a successful dive project helping ocean life thrive. Today the water is a pleasant 29°C, the vis is around 20m and there’s a slight southerly current. I check on the coral growth on a couple of reef conservation structures as I shallow up from 30m and then pay a visit to my Harlequin Shrimp buddies at around 19m. I get lucky this dive, not only are they out and about, they’re feeding on their favourite snack: starfish! I loved house reef, always an interesting find and see the different projects. I missed the harlequin shrimps, but did see massive wrasses, ribon eels, several frogfish, blue ringed octopus, scorpion leaf fish, andaman walkman and many more!!!! Map of Pom Pom Island, TRACC House Reef dive site.